MeMed has won a $4,079,159 grant from the U.S. Department of Defense (DOD) to support transition of the company’s prototype ImmunoPoC point-of-care (POC) blood-testing platform toward a final product, including transfer to manufacturing and implementation of cloud connectivity. The grant from the DOD's Congressionally Directed Medical Research Programs (CDMRP) complements a $9.2 million contract from the DOD’s Defense Threat Reduction Agency awarded in April 2017 to MeMed, with the goal of supporting the final stages of prototype development. 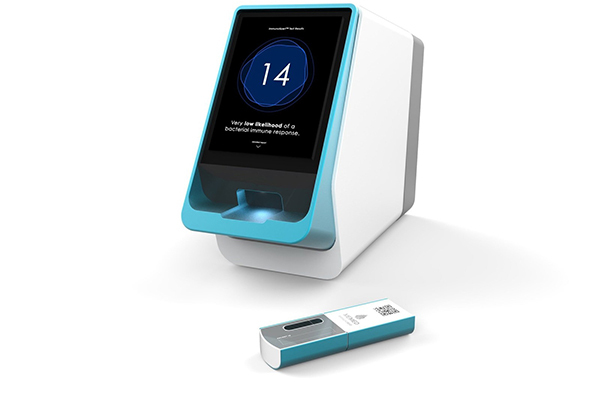 The prototype is for a POC test designed to provide results within minutes—a second-generation version of MeMed’s first-generation ImmunoXpert test. ImmunoXpert, the company’s lead product, is designed to measure three blood-borne immune markers to accurately detect whether a patient has a bacterial or viral infection, with the goal of better informing physician decisions on antibiotic treatment. ImmunoXpert is cleared for clinical use in the EU, where it is CE-IVD certified; as well as in Switzerland and Israel. ImmunoXpert is now in pilot distribution in these areas with a broader commercial roll-out underway, MeMed said. “This grant will allow us to set up manufacturing processes for our POC platform, ultimately enabling MeMed's novel blood test that has been clinically validated for differentiating between bacterial and viral infection to reach the patient in a shorter time,” MeMed CTO Kfir Oved, M.D., Ph.D., said in a statement. In September 2017, MeMed announced positive results from its external double-blind PATHFINDER study confirming that ImmunoXpert met its primary endpoint of accurately distinguishing between bacterial and viral infections in children. PATHFINDER enrolled 597 pediatric patients with suspected acute infection including fever without identifiable source, upper and lower respiratory tract infections, urinary tract infections, and non-infectious controls. Results were published in the online version of Pediatrics, the official journal of the American Academy of Pediatrics. PATHFINDER was the last of three clinical studies conducted over seven years to focus on ImmunoXpert. The trials collectively enrolled 2,376 patients, and included the earlier CURIOSITY study, whose results were published in PLOS One in 2015; and OPPORTUNITY, whose results were published the following year in Lancet Infectious Diseases 2016. Headquartered in Tirat Carmel, Israel, MeMed focuses on research, development, and commercialization of pioneering diagnostic solutions for inflammatory and infectious diseases.